This week I speak with “pyro-theologian” Peter Rollins. This interview, perfect for Holy Week and Easter, is about “divine doubt” and letting go of the need for God to solve our problems. 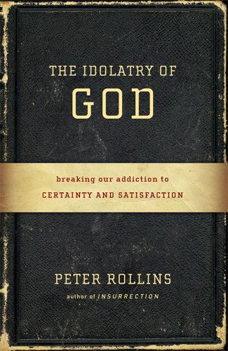 His latest book is called The Idolatry of God: Breaking Our Addiction to Certainty and Satisfaction. Thursday, March 28th at 8 pm on WETS, 89.5. Sunday, March 31st at noon on WEHC, 90.7. Sunday, March 31st at 2 pm on WETS, 89.5. Monday, April 1st 1 pm on WEHC, 90.7. Wednesday, April 3rd at 6:30 pm on WEHC, 90.7.